The renovation was not without detractors, however; for example, Joseph Horowitz criticized the third floor in particular. Where previously each division had its own reading room, the renovation united all public reading areas into one room, resulting in less intimacy and more noise. Edmund Morris characterized the Special Collections reading room as "a charmless space...[which] exudes a dispirited air of neglect." 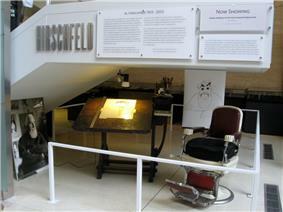 In addition to published works (for example, books, periodicals, and scores), the Research divisions collect an enormous amount of unique material: text manuscripts, music manuscripts, typescripts, prompt books, posters, original set and costume designs, programs, and other ephemera are just some of the major categories of materials. 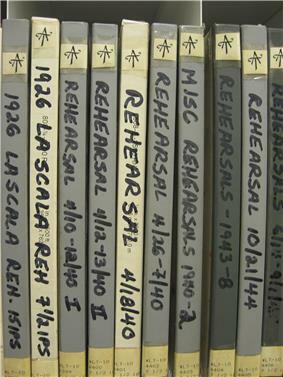 The Library's collection of sound recordings are in all formats that in themselves trace the history and development of sound recording. Much of this non-book material was not initially in the online catalog. 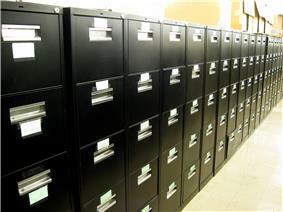 Some materials are accessible through in-house card files and indexes. Policy since changed to bring as much of the material as possible into the main catalog,and by 2013, most of it was accessible in the catalog. Because of the enormous volume of material, some classes of it, such as the clipping files, has never been inventoried, although it is arranged in a retrievable manner with an alphabetical or chronogical arrangement. 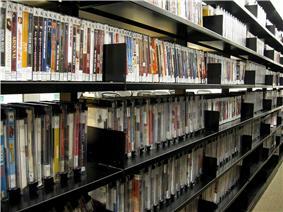 Unlike most U.S. public libraries, the research collections stacks are located in non-public areas and are not available for browsing. Patrons must determine what they want to view, fill out call slips, and submit the slips to library staff. Library staff then retrieves the material for the patron. 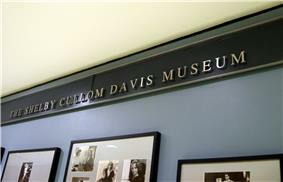 The Archive was established in 1970 by Betty L. Corwin, who served as its Director until her retirement in 2000. Ms. Corwin and the Archive were subsequently awarded a Special Tony Award for "Excellence in the Theatre" at the 55th Annual Tony Awards. In 2001 Patrick Hoffman became TOFT Director. 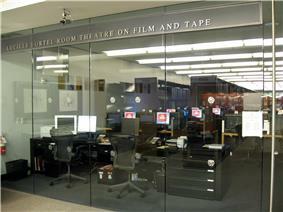 ^ New York Public Library for the Performing Arts, Dorothy and Lewis B. Cullman Center, accessed September 4, 2011. ^ Howard Taubman, "Civic Pride: City Officials Should Work for Lincoln Center as a Municipal Necessity," New York Times (June 2, 1957), p. 121. ^ "Committee Set Up To Seek Arts Fund," New York Times (December 2, 1957), p. 29. ^ Milton Esterow, "Beaumont Theater Opens at Lincoln Center," New York Times (October 13, 1965), p. 1. ^ a b Allen Hughes, "Library and Museum 01 the Arts At Lincoln Center Ready Soon," New York Times (October 21, 1965), p. 57. 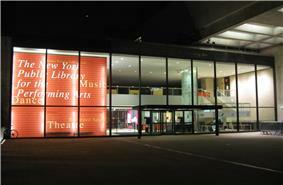 ^ a b "Library-Museum of the Arts Opens at Lincoln Center," New York Times (December 1, 1965), p. 55. ^ Mel Gussow, "Curtain Going Up at the Performing Arts Library," New York Times (October 11, 2001), p. E1. 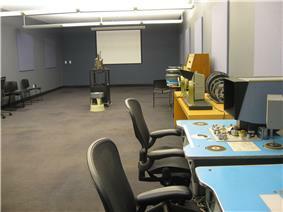 ^ Personal communication from IT staff, May 12, 2011. ^ Joseph Horowitz, "Quiet, Please. This Is a Library After All." New York Times (January 27, 2002), p. A31. ^ (April 21, 2012), p. SR7New York TimesEdmund Morris, "Sacking a Palace of Culture" . 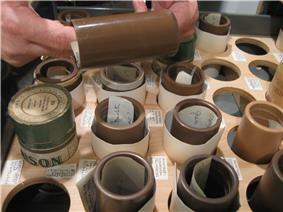 ^ A 1995 brochure indicated that 80% of the materials at LPA were not in the online catalog. ^ Much of the content of this section is derived from the thorough history of the Music Division through 1981 in a 4-part article: Philip L. Miller, Frank C. Campbell, Otto Kinkeldey, "How the Music Division of the New York Public Library Grew-A Memoir," Notes Vol. 35, No. 3 (March 1979), pp. 537–555 (parts 1–2), Vol. 36, No. 1 (September 1979), pp. 65–77 (part 3), Vol. 38, No. 1 (September 1981), pp. 14–41 (part 4). ^ "Libraries and archives." The New Grove Dictionary of Jazz, 2nd ed.. Grove Music Online. Oxford Music Online. Oxford University Press, accessed March 28, 2013, . ^ Clive Barnes, "Dance: Collection Moves to New Home," New York Times (January 4, 1966), p. 21. ^ a b Williams, p. 151. ^ Philip L. Miller, "How the Music Division Grew-A Memoir," Notes vol. 35, no. 3 (March 1979), p. 549. ^ Williams, p. 151, 154. ^ "Lincoln Center Receives 11,000 Disks From WQXR," New York Times (June 9, 1966), p. 53. ^ a b "Dorothy Lawton, Librarian, 85, Dies," New York Times (February 21, 1960), p. 92. 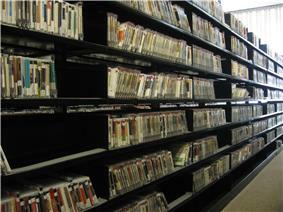 ^ Circulating Music Collection, accessed September 5, 2011. ^ John Martin, "The Dance: A Treasury: Important New Volumes Added to Growing Collection at Library," New York Times (October 4, 1931), p. 116. ^ Compton Parkenham, "Review of Newly Recorded Music," New York Times (April 15, 1934), p. X6. ^ website, accessed September 9, 2011. ^ Olin Downes, "Librarian Retires: A Tribute to Dorothy Lawton-Her Contribution to Our Musical Life," New York Times (July 8, 1945), p. 18. ^ Olin Downes, "London Library: Music Institution Formed Along Lines of 58th Street Branch Here," New York Times (August 10, 1947), p. X6. ^ "London Library," New York Times (November 14, 1948), p. X7. ^ Eleanor Blau, "Performing Arts Library Celebrates," New York Times (May 29, 1991), p. C14. ^ Frank C. Campbell, "How the Music Division of the New York Public Library Grew-A Memoir, part 4," Notes vol. 38, no. 1 (September 1981), p. 15. ^ About Public Programs at the Library for the Performing Arts.